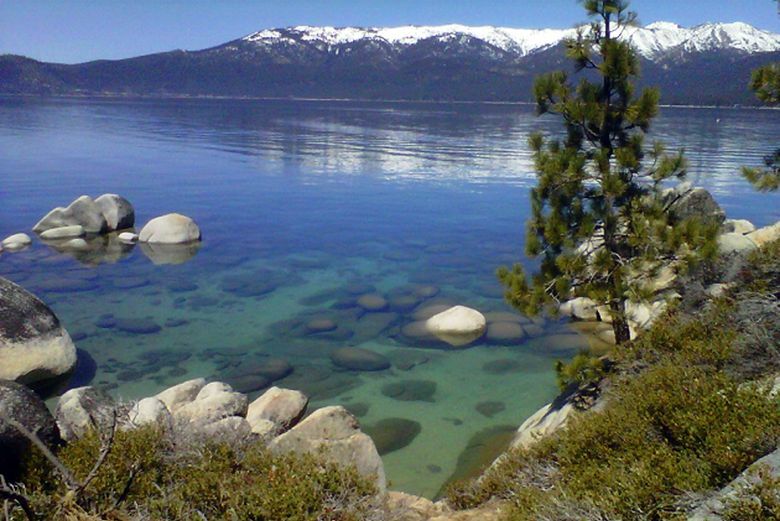 CRYSTAL BAY, Nev. (AP) — Climate change is causing Lake Tahoe to warm sooner in the spring than it has historically, disrupting the normal mixing of shallow and deep water and undercutting gains made in reversing the loss of clarity of the cobalt mountain lake, scientists say. “Climate change is impacting not only Lake Tahoe’s water quality, but also the health of its forests and its recreation-based economy,” said Joanne Marchetta, executive director of the Tahoe Regional Planning Agency, which regulates the lake covering 191 square miles (495 sq. kilometers) along the Nevada-California border. 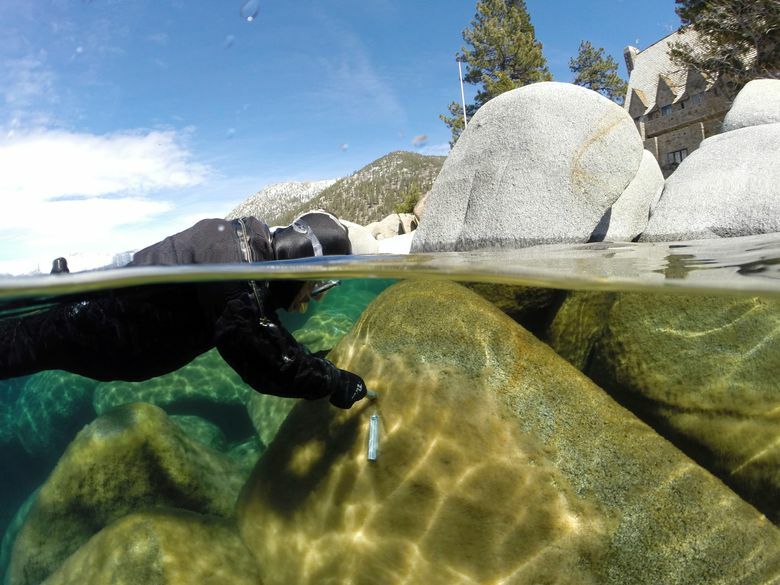 Until recently, the climatological cycles affecting Tahoe’s clarity had remained fairly constant since 1968, when experts first dropped a white disk into the lake to measure how far down it remained visible. Back then, it was more than 102 feet (31 meters) compared to an average of about 69 feet (21 meters) now. Dry years resulted in clearer water. Storm-water runoff carrying soils and contaminants during wet years made it worse. ” You didn’t need a Ph.D. to understand it,” said Geoff Schladow, director of the University of California Davis Tahoe Environmental Research Center. But the pattern seems to be breaking down, he said. 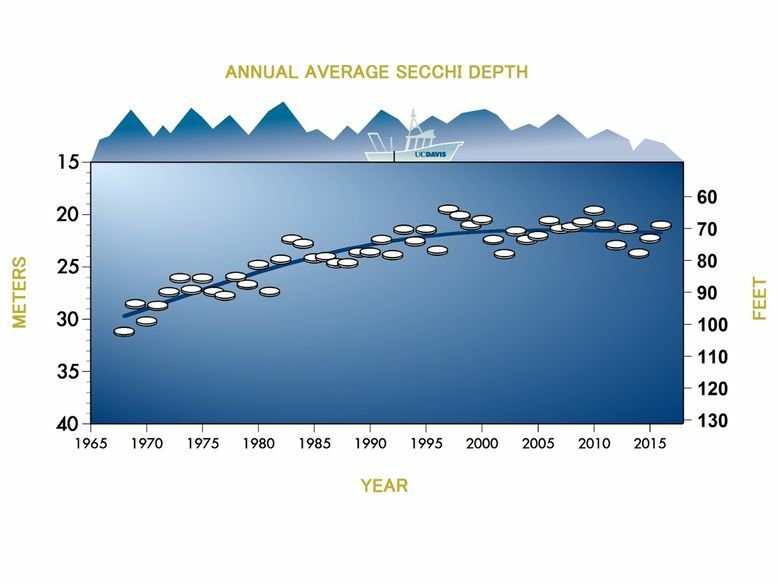 Average annual clarity for 2016 was about 4 feet (1.2 meters) worse than the 73 feet (22 meters) recorded in 2015, but better than the worst-recorded average of 64 feet (19 meters) in 1997. Marchetta says the improvements are a testament to the more than $1 billion spent by federal, state and local entities the past two decades to slow the flow of pollutants into the lake and restore shoreline marshes and wetlands. But for the second year in a row, on the heels of a five-year drought, the data show continuation of the worrisome trend that started eight years ago. The 2015 data showed that Tahoe’s average surface temperature had risen faster over the previous four years than any time on record — 15 times faster than the long-term warming rate over the past half century. In 2016, the temperature was again at record levels, and the lake stratified — or separated into distinct layers — at close to the earliest time of year ever. “We get less mixing of the lake in the summer,” Schladow said. Less mixing means tiny particles of algae remain near the surface longer, gathering sunlight and collecting nutrients that spur their growth and reduce clarity. As a result, the 2016 numbers tell a tale of two lakes. Average winter clarity was 83 feet (25.3 meters), the clearest since 2012. But summer clarity averaged 56 feet (17 meters), about 16 feet (4.9 meters) worse than 2015. The summer declines were so big they outweighed the winter improvements — something scientists didn’t anticipate. Despite 2016’s decline, the data indicate Tahoe’s long-term trend of clarity loss ended about 15 years ago. Since then, it’s hovered around 71 feet (22 meters) but with significant variability. In fact last Jan. 25, the disk was visible at an “astounding” 95 feet (29 meters), Schladow said.